Archive a student's entire academic career - from records, grades, and awards to counseling files and medical information - no matter how large or small your institution. Allow students to access information to update their personal records or to help fill out resumes and applications for awards and colleges. 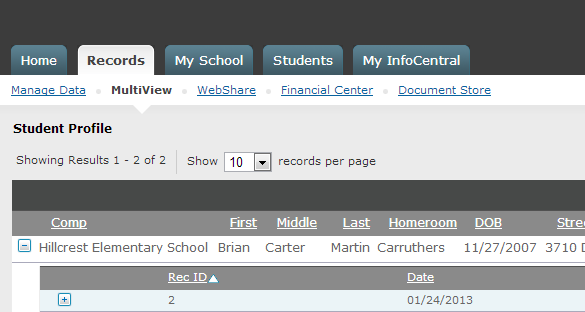 Share information with parents and students instantly. Let teachers and students upload and download lessons and assignments - all they need is an internet connection. Permit parents to keep up with their students' progress, assignments, and test schedules. Oversee administrative tasks no matter where you are. Organize your office with our intuitive system. 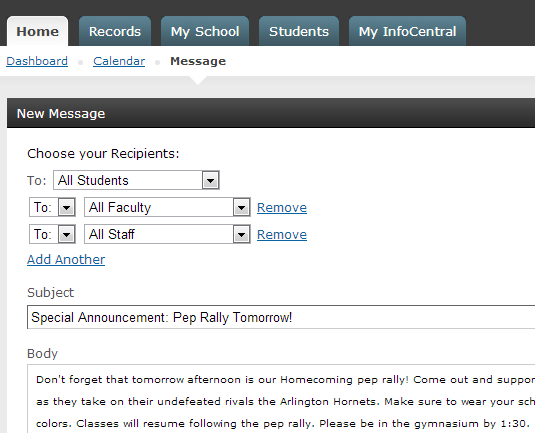 Announce events and update the school calendar. Schedule meetings and assemblies from anywhere. Log budget and funding reports. Correspond with administrators and educators using our messaging feature.